The firm will repurchase a maximum of 370 million shares. The repurchase is scheduled to commence on July 24, 2014 and will be valid till December 17, 2015. NEW YORK: Finnish telecom gear maker Nokia on Wednesday said it will repurchase shares worth up to 1.25 billion euro (about $1.7 billion), in line with its 5 billion euro (around $6.8 billion) "capital structure optimisation programme". "In line with earlier announced 5 billion euro capital structure optimisation programme, the Nokia Board of Directors has today resolved to commence repurchases of shares under the authorisation given by the Nokia Annual General Meeting held on June 17, 2014," the firm said in a statement. Shares may be repurchased by way of a directed repurchase from sellers in marketplaces, the rules of which allow firms to trade with their own shares. 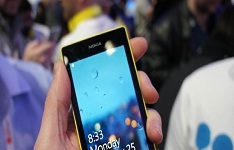 The purchase price will be based on current market price of Nokia shares in marketplace, it added. "The Board resolved to repurchase a maximum of 370 million Nokia shares, however up to an equivalent of 1.25 billion euro," Nokia said. In May this year, Nokia said it will embark on a capital structure optimisation programme that includes reducing debt by $2.8 billion by the second quarter of 2016, repurchase shares worth $1.7 billion over the next two years to "improve the efficiency of Nokia's capital structure". A month before, Nokia completed the sale of its handset business to the US-based software giant Microsoft for over $7.2 billion. "The repurchases will commence earliest after publication of Nokia's second quarter 2014 results, which are scheduled for publication on July 24, 2014. The current authorisation given by the AGM is valid until December 17, 2015," Nokia said.